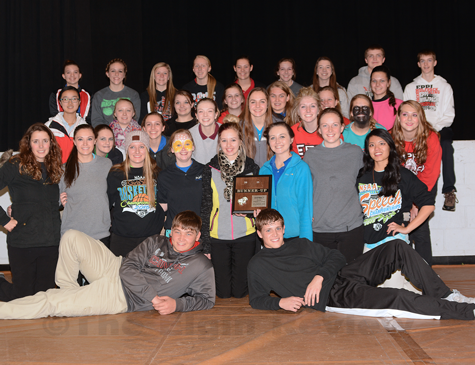 The Pope John Central Catholic One Act team finished second today at the NSAA District D2-2 One Act Plays competition. They presented “The Spell of Sleeping Beauty”. Finishing right behind them was the Elgin High School One Act team at third place with their presentation of “Superheroes: With Great Power Comes Ordinary Responsibility”. Winning the district competition was Leigh High School’s presentation of “Every Christmas Story Ever Told (And Then Some!). PJCC hosted Tuesday’s contest.